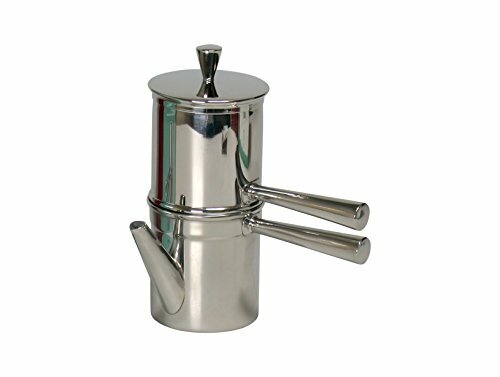 The neapolitan coffee makers feature classic design and are crafted from high quality stainless steel. Neapolitan pots use a very traditional brewing process often referred to as the flip drip method. water is added to one half of the pot, then fine ground coffee is placed in the stainless steel filter basket and then the pot is assembled and placed on the stove. Once the water begins to boil the pot is removed from the stove and flipped over, allowing the hot water to drip down through the ground coffee.